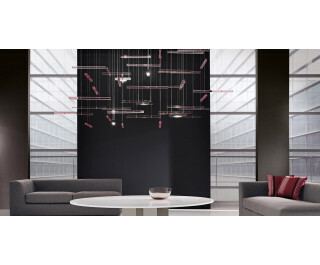 Collection of suspension lamps with white painted metal and steel frame with hand-made Murano glass bars, available with red or white interior. Linear halogen eco light source. Customised compositions possible.